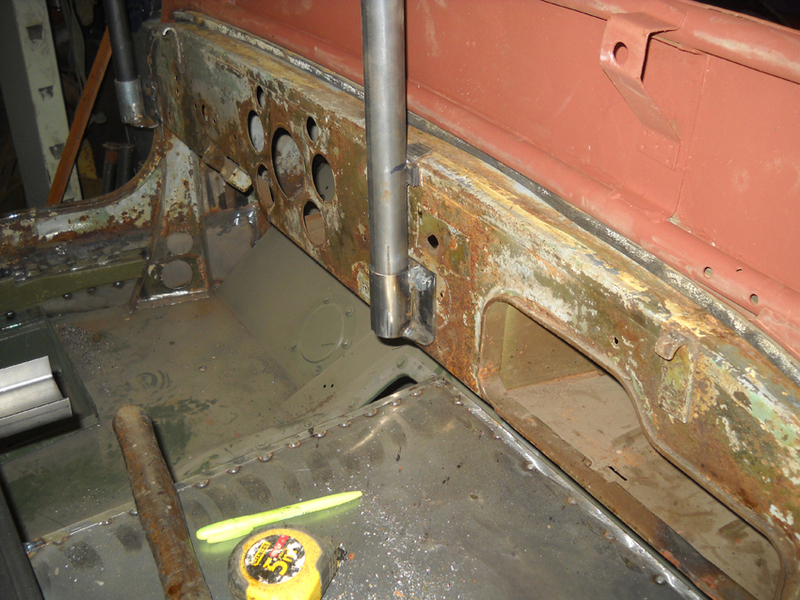 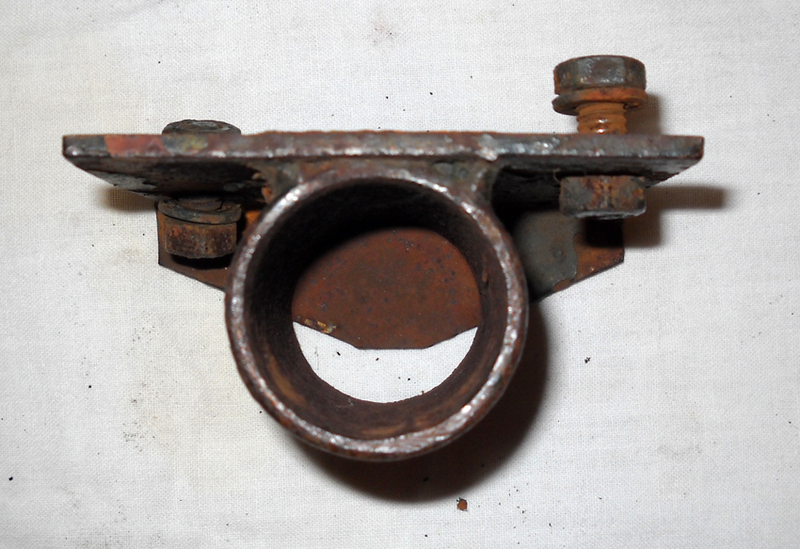 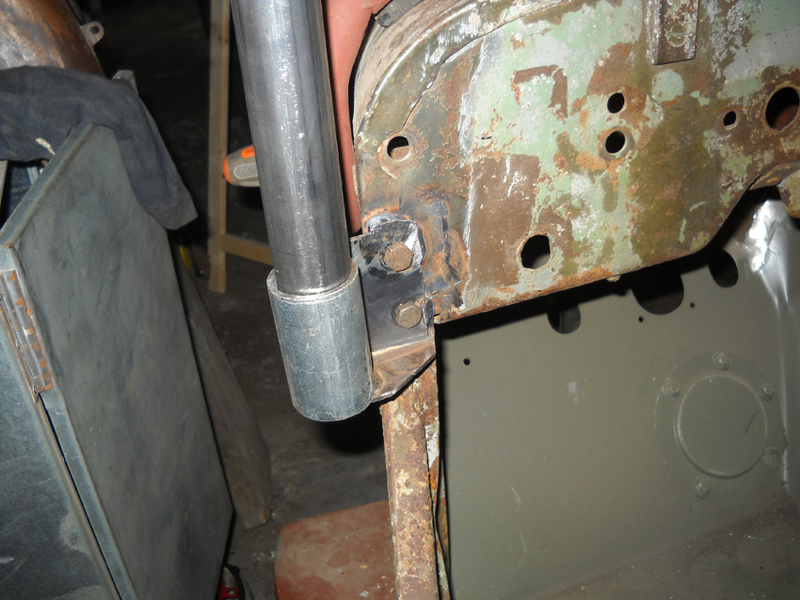 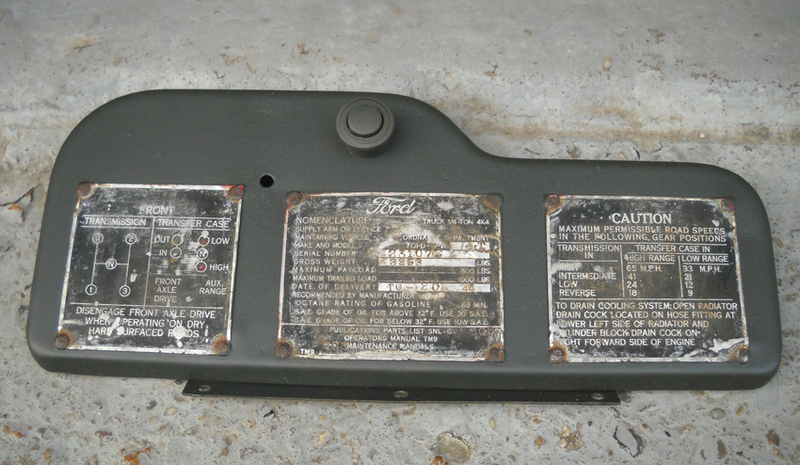 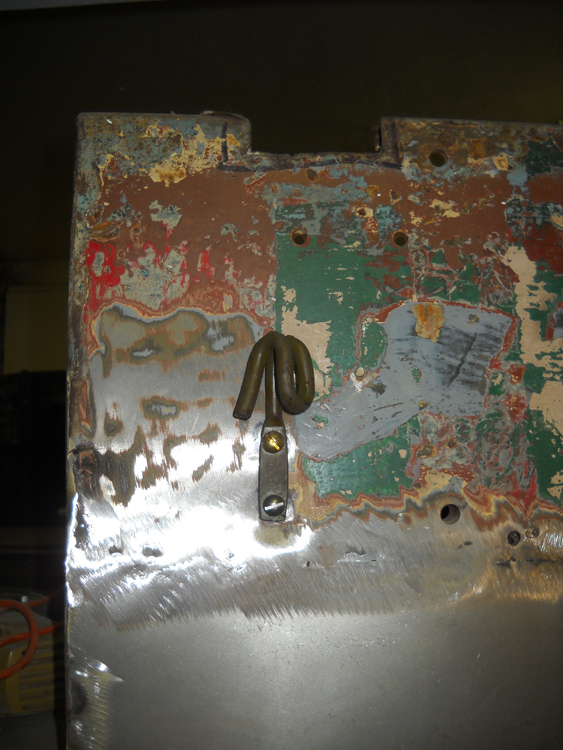 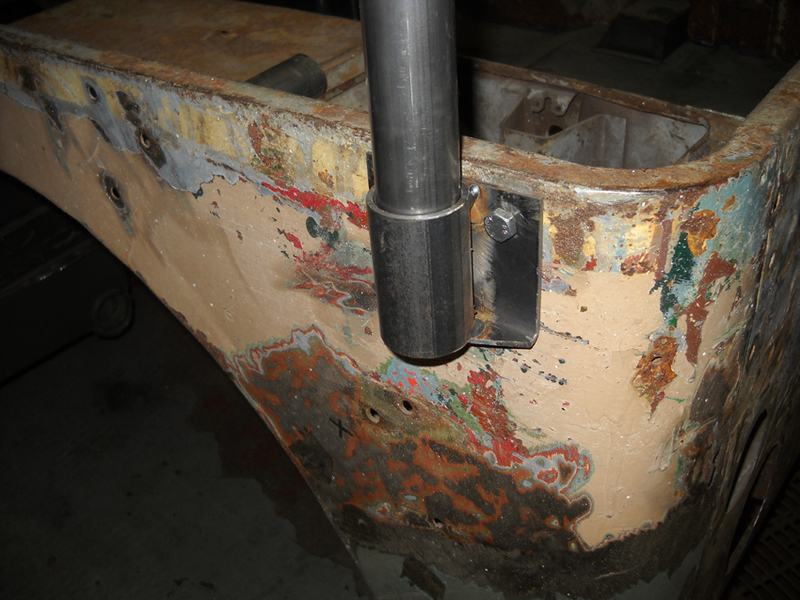 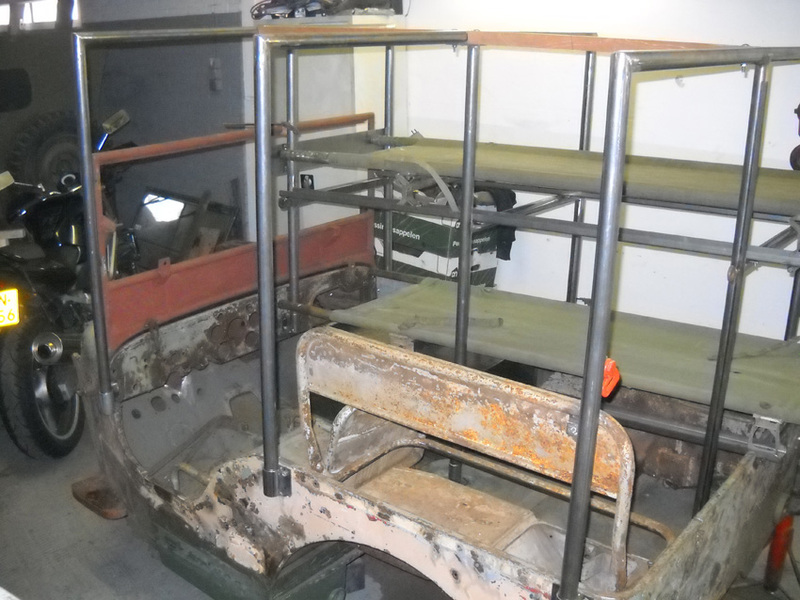 Since all the brackets to support the superstructure where missing, an original bracket was borrowed from another amb jeep restorer. Based on this original bracket, new brackets were made. 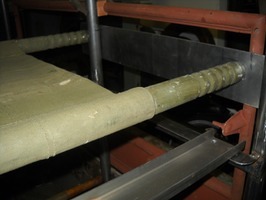 The total construction is based on 9 tubes which are interconnected with a horizontal tube from left to right. Seven tubes are mounted with a bracket on the sides and front of the body and two tubes are mounted on the floor of the body. The top beam which connects the tubes from the front to the rear is made of wood (photo 50). 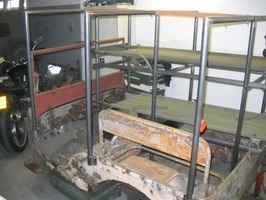 This beam is only introduced with the second type amb jeep. 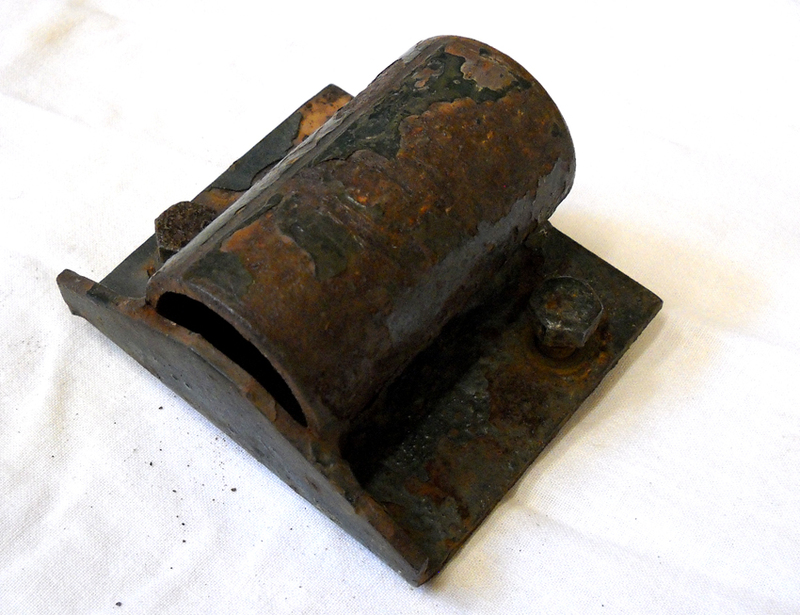 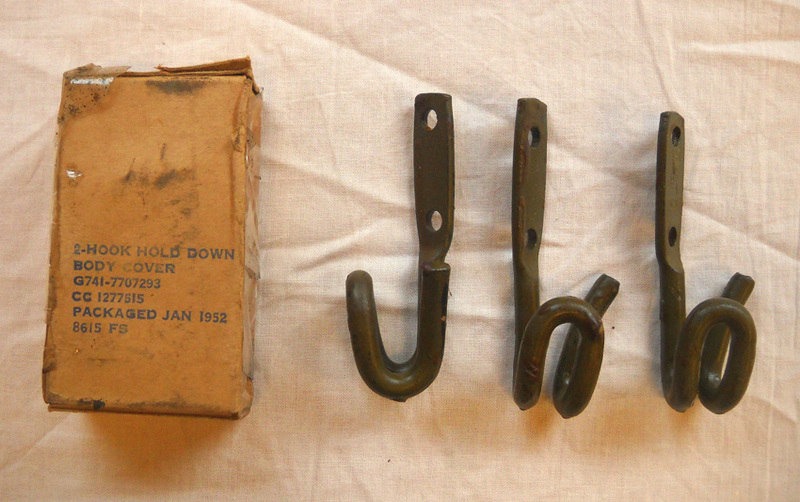 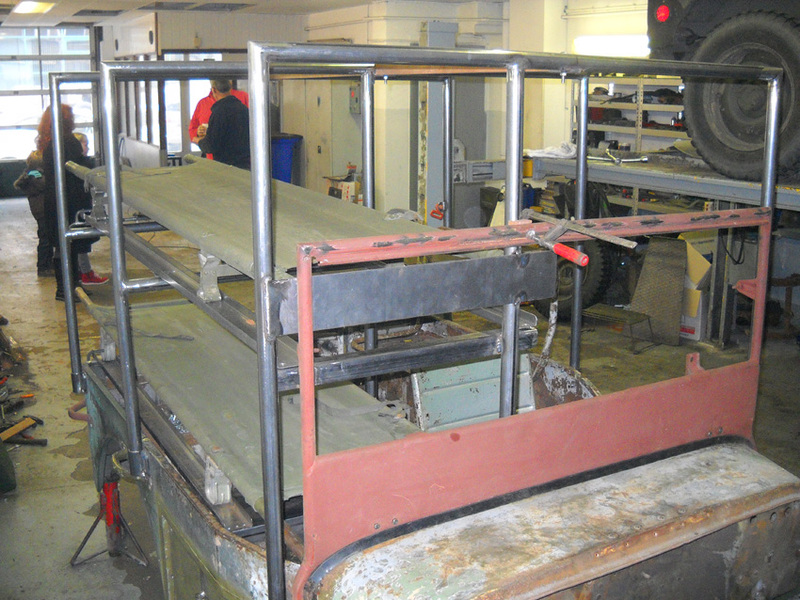 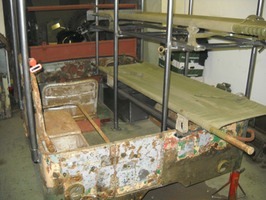 Two types of rails were used to support the stretchers: an L-shape rail came with the first type amb jeep and a U-shaped rail came with the second type amb jeep. 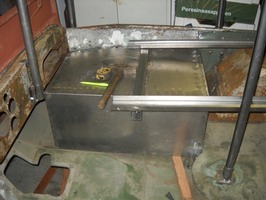 Since the original cuts in the rear of the body were still in place, it was easy to assess the dimensions for reproducing the right size of U-shape rails. Another difference between the types 1 and 2 ambulances is the way the stretchers are secured: on the first type amb jeep the stretchers were secured in place with a canvas strap, on the second type a spring based metal locking pin was introduced. 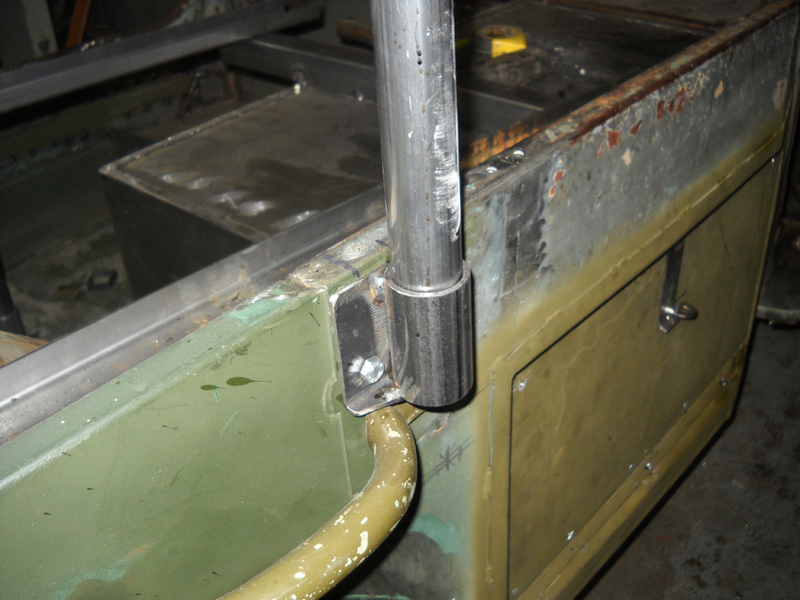 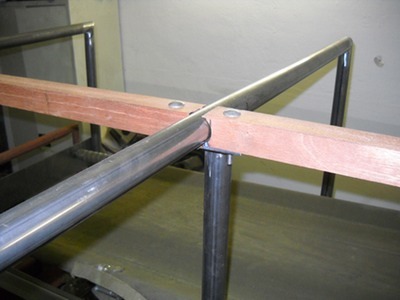 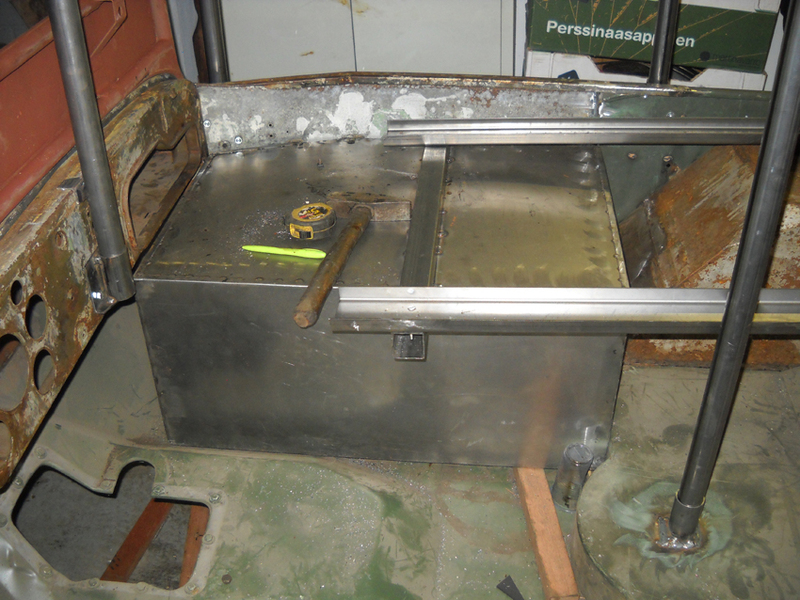 (Photo 60) The last detail related to the stretcher rails is the introduction of a strip of metal on the front side of the superstructure to prevent a wounded soldier from being launched forward when the driver steps on the brake. 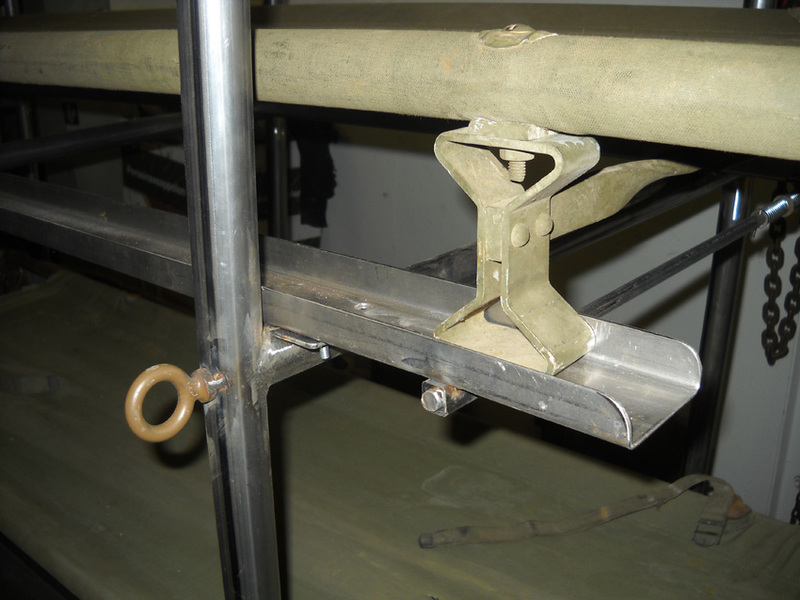 In order to fasten the special canvas top to the body, hold down hooks and footman loops were mounted. 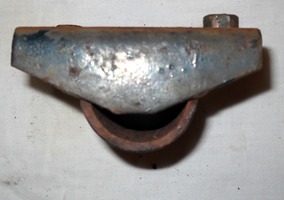 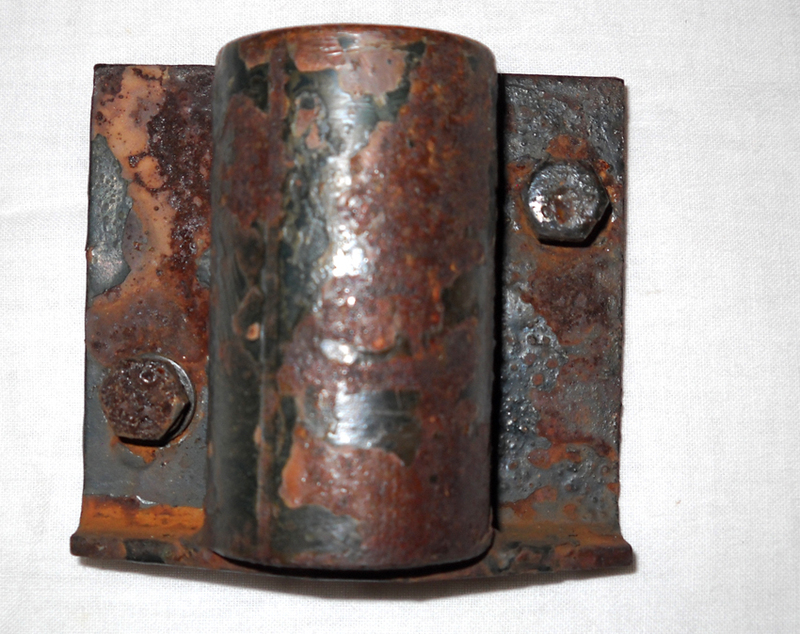 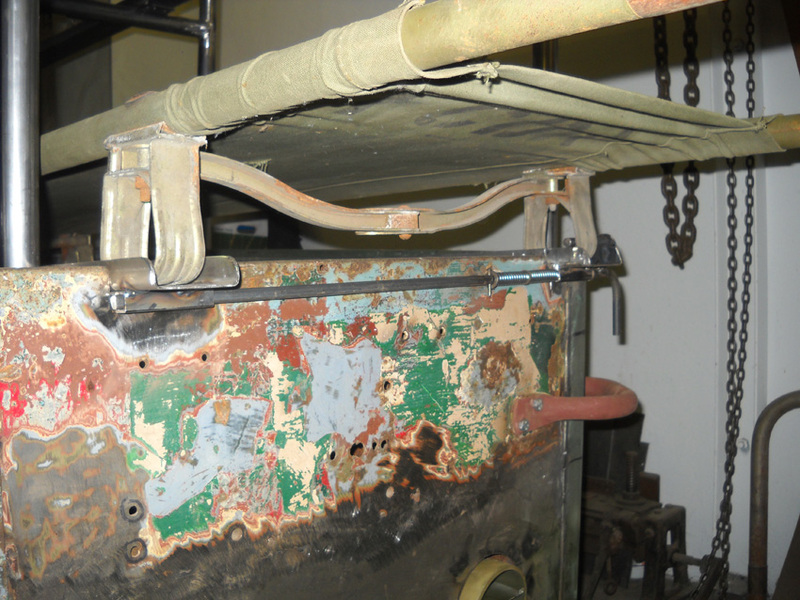 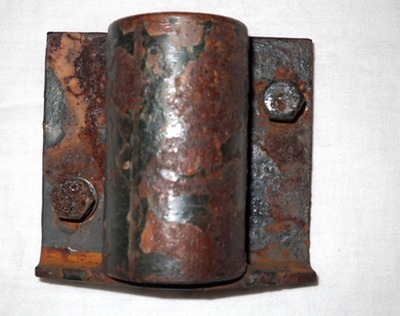 On the first type amb jeep only three hold down hooks were mounted on the rear of the body while three footman loops were mounted in the middle and on the left front side. On the second type this was changed somewhere in 1945, to six hold down hooks on every position as the new canvas tops now came with hold down ropes in lieu of straps.